How many people attend Costume-Con? It varies from year to year, depending on where it&#8217;s held, but the average membership is between 225 &#8211; 300. You can see the approximate attendances here [url]http://www.costume-con.org/gallery2/main.php[/url] and click on one of the pictures for that year. Is this a media convention? No. But you will see various media costumes. What kinds of costuming will I see at Costume-Con? Everything from science fiction to historical to wearable art and everything in between. 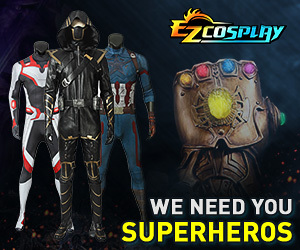 The costumes will be of original design, as well as recreations from film, TV, comics, books, etc. If you click that link above, you'll get an idea of the range, although there are no shots of costumes worn in the halls. Will I look out of place if I&#8217;m not wearing a costume all the time? Not at all! People are not always in costume, because they like dressing comfortably, too. Everyone is welcome, whether they make costumes or not. We also have people who almost never wear costumes, but enjoy our art form &#8211; photographers, backstage crew and videographers, just to name a few. Is Costume-Con run by the [URL="http://www.costume.org/"]International Costumers Guild[/URL]? What kinds of subjects are taught in the panels? Every conference is different, but they might be about dyeing techniques, wing construction, hat making, corset construction, mask making, prop making, beadwork, or even a study of different glues, just to name a few. It all depends on who attends a particular CC and what knowledge they have that they are willing to share. Are people paid to speak or given a free membership? No. Everyone volunteers their time. One of the major purposes of this conference is to share knowledge. I&#8217;ve heard some guild chapters give out their own awards. What&#8217;s that about? The &#8220;Spazzy&#8221;, given by the New York/New Jersey Costumers Guild for the best presentation of sick and twisted humor. The &#8220;Slattern&#8221;, presented by the St. Louis Costumers Guild, for the person or persons they feel had the most fun on stage. The &#8220;Cement Overshoes&#8221;, presented by the Chicagoland Costumers Guild, to the person they would like most to take a long walk off a short pier, so that they can take the costumer&#8217;s stuff. Basically, it&#8217;s a way to say, &#8220;Hey, we like what you did!" How can I enter when I can't/don't draw? No problem! Go here: for some croquis (figure blank) that you can trace over with your fashion designs. Will it be published online? Can I make up someone's design, even though I can't go to CC this year? Ethically, you should seek permission from the designer. Can I make up more than one design? Yes, but ordinarily, you are only allowed to appear on stage in one design. You may, however, have someone model one of your others for you. So, does anyone have any queations or additions so far? B covered it pretty well. I have no questions at the moment. instead of stage judge. Costume Con, even more than any other con, needs to be sure that the awards are about the costume, not about how well the entrants sing or dance. fit, etc... not just the presentation.